As rumors of the smitten couple getting engaged to reach a fever pitch, Prince Harry’s shopping list for his girlfriend Meghan Markle’s visits have been made public. The Royal caused a shock by breaking a rule at today’s Remembrance service, but it is no surprise that he is a softie when it comes to his relationship with the 36-year-old Suits actress. Prince apparently a regular customer for a corner shop near Kensington Palace where he often pops to buy things for romantic nights in with her loved one. Must Read- Prince Harry Spotted Kissing And Hugging His Girlfriend Meghan Markle, How's Their Love Life? 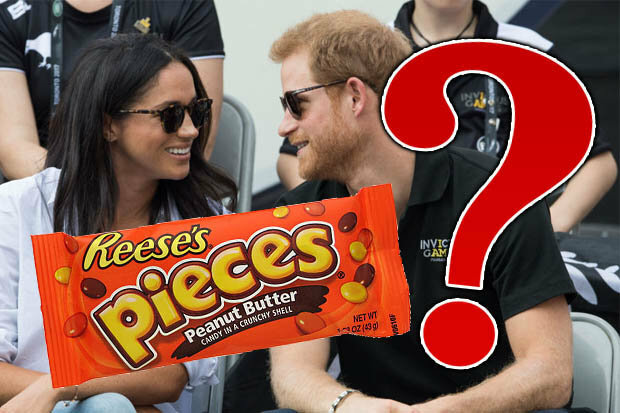 He has bought Meghan, with whom he gave their first public appearance together at the opening ceremony of the Invictus Games a few weeks ago, Reese’s Pieces, coconut water and curry sauce that he uses to cook for the loved-up pair. The news comes after it was reported Prince had a two-year crush on her possibly future wife Meghan after seeing her in legal drama Suits. Meghan is tipped to finish shooting for the show this month as she will move to the UK to live with her boyfriend. As previously reported, the couple could announce their engagement this month.